In this episode, I talk to Matt Mullenweg — co-founder of WordPress and the CEO of Automattic — about what’s happening in the world of WordPress, and his role in it all. WordPress 4.9 features around customization. This was a fun episode, and it’s always a privilege to be able to talk to the leader of the WordPress project. I hope you enjoy it. Brian Krogsgard: Hello. Welcome to the Post Status Draft Podcast. I’m happy to be back. We have a special guest today after our hiatus. So might as well come back with a fury. I’ve got Matt Mullenweg, the co-founder of WordPress and the CEO of Automattic. Hey, Matt. Matt Mullenweg: Howdie. Don’t call it a come back. Brian Krogsgard: Thanks for being here with me. Matt Mullenweg: It’s always a pleasure. Brian Krogsgard: When this publishes, WordPress 4.9 will be on the way out the door. Of course, 4.9 has had a lot of active development, but it’s been simultaneously with the Feature Projects agenda, first and foremost the new editor. I guess my first question is how has that process been in terms of balancing a release like 4.9 which does have some significant features attached to it, and balancing that with a big project like the Gutenberg editor? Matt Mullenweg: Well, luckily, I mean, [West 00:02:11] and Mel, all the contributors there have been doing a really fantastic job this year getting in some concrete and useful improvements to the WordPress experience that are going to make a big difference for people. And the thing is that we can do them, we can do them today. So, there’s no point forcing people to wait or delaying improvements for some theoretical better thing, an indeterminate period down the road when there’s ways we can make millions of people’s lives better today. So, I mean the features, I know that some have been controversial like around the code editing and stuff like that. People have different perceptions of who and what WordPress is for, and what WordPress should do and should not do, but we try to build a big tent. I think that for the people that these features touch, it’s going to make WordPress a lot more accessible. Brian Krogsgard: Yeah. I’m actually long a proponent of being in that camp, and to a degree. My personal opinion has long been … and someone dug up a comment actually where I said this, that I would rather it not exist, the file editor in WordPress. But if it did exist, to have some safety mechanisms to prevent people from white screening their site and not being able to access it. So I am, if it’s determined we’re going to keep it, then I am glad that that exists. So, I think that’s a really good thing. The 4.9 release is going to go out … It seems like we always have release soon before WordCamp US. What’s the thing that you’re most excited about between 4.9 and … I know we’ll get to Gutenberg in a minute, but it really seems to me like a site owner style release, and that’s something that we don’t always have a ton of features for, like a lot of behind-the-scenes stuff tends to exist. Was this a strategic thing or just features that popped up in the queue? Matt Mullenweg: It’s definitely been a lot of strategic planning this year. A common misconception about Gutenberg is it’s just a editor. And even you said, “How’s the editor work going?” Gutenberg is really about introducing this concept of blocks that can simplify the WordPress experience throughout things. It’s going to cover writing, editing and customization. But since the customization is the after we do the writing part, we want to make sure that we got some good customization improvements in the meantime. So design drafts, I think, are going to be pretty huge, locking and scheduling, the front end preview links. Like, there’s some really, really cool stuff in here. You can call it site builders, and it’s good to have that persona in mind perhaps, but the thing is that WordPress has always shown that you can build something for a specific persona or a specific type of person. What ends up happening is it benefits almost everyone, at least at some point in their WordPress journey. Brian Krogsgard: It seems it was an adaptation from the original plan, though, right? Because, I mean, last time we talked about a year ago about this, it was … there’s not a release, there’s not a release. We’re doing these core projects, but then we’ve had two releases since then. So what evolved your thinking, I guess, in terms of why we needed to have a release simultaneous with the Feature Projects? Matt Mullenweg: From the very beginning, I was talking particularly with Mel and brainstorming. We’re like, “Okay. We know that Gutenberg’s going to take the better part of a year. So, what can we do in the meantime that’ll make people’s lives better?” I had that conversation with a number of different developers. I just remember the one with Mel in particular because it was a very fruitful one. That’s been from last year’s contributor days when we announced the changes at WordCamp US about the release model. It just … I didn’t want to be trying to get timeline. I didn’t want it to be timeline-driven. So although we’ve had two releases this year on like a normal schedule, like they’ve been when things are ready more and more feature driven rather than being time driven. So that’s been, I think an all right change. If we were feature driven and hadn’t had any releases, I would be a little bit worried, because it probably means we’re not controlling scope or something like that. Brian Krogsgard: Do you think contributors to, what we can say, are like more normal releases, so like the things that are in 4.9 versus Gutenberg? Do you think they feel empowered? Do you think that it’s been a challenge to manage where that developer commitment goes and how to encourage them, but also keep the focus on Gutenberg? Brian Krogsgard: How’s that been for you getting back into the day to day side of leading releases? Has it been a rewarding experience or more challenging than it was historically or what? Matt Mullenweg: Well, I love geeking out on WordPress, so being able to [inaudible 00:07:33] read slide channels, and DevNotes and chainsets and everything, I found personally enjoyable. That’s just something I like. But I would say that as soon as it’s been successful, it’s been really the folks involved. Like a big part of my leadership style at this point in my career is empowering people and trying to set people up with the autonomy, vision and the skills to succeed, and then remove blockers for them when they run into them. So, that is ongoing, but I think that we have a very, very good start for that with the preponderance of contributions happening in both the 4.8 and 4.9 releases. But also if you look at how far Gutenberg’s come and just the speed of that development process. It’s been unlike anything we’ve really had in WordPress’s history since the days when it was just a couple of us working on it. Brian Krogsgard: How do you think the role of a designer has evolved in terms of WordPress Core development? Last year you announced Mel and Michael [Airstat 00:08:41] as Core committers, but how much has the design led the process, versus been responsive to the process this time around? Matt Mullenweg: Well, that’s part of why for each focus, I want to design person at equal standing with the developmental lead. So we’ve had so far this year [Blivion 00:08:59], Tammy, and Mel in those roles on the editor and customization side. I think it’s been really good, maybe a little biased there, but I hope that we never move away from this in future development. Brian Krogsgard: My assumption, and this is based on some limited knowledge of prior WordPress.com projects, has it been a little bit of sharing processes from the Automattic side of things into the WordPress side of things, or how’s that worked in terms of how this kind of process was informed? Matt Mullenweg: It’s a little bit different because the design lead role … Well, we don’t have like strict hierarchy or reporting structures on the .org side. Because of that, we really only have this one bit we can flip, which is like lead or not lead. So, I thought it was very important for a designer to have that lead bit flipped, and have that be at equal standing with the development focus lead. At Automattic, it’s more cross functional teams, and the designer might be a lead, but just as often is not. But because the teams are relatively tight-knit, generally 5 to 10 people, they work pretty closely. There’s kind of the hierarchy around leading up eventually to me, and shares this alignment and vision and everything like that. Because the structure being so different, it necessitates a different both titles, roles and functionality and process. So, it may be inspired by some of the things that have gone well, projects that have been involved in outside of Core WordPress, including Automattic, but not necessarily marrying them. Brian Krogsgard: Do you think Gutenberg’s been the largest scoped WordPress-centric project that you’ve been involved in? Matt Mullenweg: We’ve done some big stuff in the past like creating themes or plugins. So, I don’t know if it’s the biggest, but it’s probably one of the biggest since then in a lot of ways. I think of it from the point of view of this is a foundational change that will enable … like a Cambrian explosion of things to be built on top of it, much in the same way that custom post types, themes, plugins, the plugin directory, that sort of stuff, auto-updates, they’re so foundational that they really power rest. It’s a wind in our sales for many years to come. And blocks can be that foundation, I would say even for the coming decade. Brian Krogsgard: Has that been a challenge to try to think of how the web will be used a decade from now and knowing that the decisions made today are going to be impacting how the web is written, at least, the content produced, and that kind of stuff in the future? Matt Mullenweg: I think it’s better to think of it from the point of view of a user, because in WordPress’s history, the sort of output format has changed a ton from back in the day HTML to XHTML to producing many different varieties of formats of RSS and different feeds. These days, it’s all about AMP and instant articles and Canonical AMP and progressive web apps. That’s the beauty of WordPress that we have this content structure, and a way that people use the software to publish. Then actually changing what it publishes too is the easiest part. That’s probably the thing I’m least worried about in terms of how we’ll be able to adapt WordPress to how the web’s going to change in the future. Maybe in five years, every theme is effectively like Canonical AMP, and that’s how we do things, but it doesn’t really matter because those are kind of just templates in a lot of ways. What really matters is the data structure and how people interact with it. Brian Krogsgard: What role did the React decision and blog post that you wrote play in that thinking? Brian Krogsgard: Well, the choosing to remove React and then of course Facebook changing their license. First of all, I guess, do you think that your blog post had a part in that decision from Facebook? Matt Mullenweg: I wouldn’t say it was the blog post, but definitely the conversation that that blog post kicked off. Basically every tech site wrote about it in the home page of every developer group, Hacker news, Reddit, et cetera. It was everywhere. So, it’s not that the post was able to get a larger conversation … Yeah, I think it did have an influence, but nothing was in the post that hadn’t been said before to people at Facebook or otherwise. So, I wouldn’t call it the content of the post that really changed things. Brian Krogsgard: But you didn’t immediately reverse the conversation and say, “Okay. Great. Now we’ll fully endorse React as this platform.” Why was that? Why did you continue to let folks explore how this would be done and not settle and react again to catch up the timeline? Because that was introducing a significant delay in a project that you’re extremely passionate about. Matt Mullenweg: Yeah. It was actually funny. I’ve been growing a beard. Brian Krogsgard: Congratulations. I can’t do that. Brian Krogsgard: That was amazing, the number of people that showed up, and their, I guess, relative interest and a lack of selfishness I guess to a degree. They didn’t want necessarily WordPress to choose their framework just because, but I feel like they really engaged honestly about where their frameworks fit in and how they think it might be beneficial. I think that was a really awesome conversation, and to me that felt like a situation where WordPress or you as the project lead were throwing our weight around a little bit in a good way. It really brought some fruitful discussions around. So, I was really happy to see that. I hope that that will encourage maybe future similar types of situations. Is that something that you would be comfortable with? Brian Krogsgard: Is the plan for it to be that portable? Brian Krogsgard: Is it going to be called O2, or is it going to stay P2? Matt Mullenweg: Kind of switched it back to P2, because O2 is like a huge mobile company in the UK. Brian Krogsgard: Oh, yeah. I forgot about that. Matt Mullenweg: Where P2 is usually just the second floor of most parking lots. So, there’s less infringement or potential overlap there. P2 is a theme name. I think O2 is like the framework, and then we have something called Breathe, which is a … I forget the exact interaction between the theme and the plugin, but let’s call it P2 for the sake of argument. Brian Krogsgard: One of the things I talk about whenever I talk about WordPress in person is the simplicity of WordPress and the importance for that simplicity while maintaining those developer features. I think P2 is an interesting example of that because to me … and I think we share this vision. One of the big threats to the web is this closed-offness of the web. But historically, the experience for something self-hosted has just not been very good. Like WordPress is kind of the best of the bunch, and like you’re kind of talking about, isn’t good enough anymore. Do you think that’s something that’s addressable? Can WordPress be someone’s data store where they own all those things and they pipe it out to other places and that’s a convincing argument, or do you think there needs to be like a catalyst to make that happen? Matt Mullenweg: Oh, it’s not. Brian Krogsgard: I’m saying it’s not simple, but the challenge is to make it simpler, like make it as attractive. Like, I publish photos on Instagram a lot. Those, a lot of times, don’t make it to my blog, for instance. Can we make WordPress simple enough and just as attractive to use as say Instagram or Twitter or something like that where … then you talked about Canonical AMP where you have a canonical source for your own digital life, and that WordPress can be competitive in that realm. Matt Mullenweg: I think simple is a red herring, and not something that I think I’ve ever aspired to, and especially now that I read more and learn more. I would way more go for, say, intuitive than simple. Matt Mullenweg: I think the word is that when we go towards simple, we tend to make things simplistic, overly reductive. Because, often we’re perceiving the … We have our bias of why we think something works or doesn’t. Think of something like a child learning to speak or learning to walk. That’s not simple at all, right? Brian Krogsgard: You say path. That’s a little bit of a throwback to a social network that was probably ahead of its time in terms of being intuitive but complex. Brian Krogsgard: That’s part of my question is whether you think WordPress can play a role there to a mass market? Do you think WordPress can be as desirable to download say from an app store, let’s just imagine. The desktop doesn’t even matter. Download it from an app store. Use and maintain your digital life and what you publicize through something like WordPress to make that argument that we own that material and it’s important for us to own it versus give that up to the Instagram or Facebook or Twitter, or whatever, and then pipe what we want to share to a specific network, or is there a future where you think something more broad-based, open web could be the network? Matt Mullenweg: Yes. I believe that what you described is 100% attainable. When we do it, I think that we’ll have accomplished something very meaningful on the way to our lifelong mission of democratizing publishing. Brian Krogsgard: So, we have a long journey ahead in the WordPress world then. Matt Mullenweg: Well, it wouldn’t be exciting if it’s not. I’m planning to work on WordPress the rest of my life. So, the scope of … Our capacity to reach more people and affect the world in the way that we imagine the world should be, I think we’ll be able to expand over time if we remain responsive to the changes that are happening, if we don’t get too locked up in how things have happened before being the primary guideline for how we do things in the future, and if we stay humble. Brian Krogsgard: Do you think staleness is a significant threat to WordPress? Matt Mullenweg: I prefer the term ossification. Brian Krogsgard: Okay. Can you help me with that? Matt Mullenweg: Sure. It’s the idea that something works, and then it doesn’t become stale because if you think of the analogy of stale, that’s like … like it’s not good anymore, right? Like stale bread. Brian Krogsgard: Right. Feature complete. Matt Mullenweg: Think of maybe like bones that become brittle. If a bone was never there in the first place, you wouldn’t be good, but at some point, it can become too inflexible or brittle, and then it can break. Brian Krogsgard: Let’s shift into some other things that you work on and Automattic works on but impact both sides of the WordPress world. WooCommerce and Jetpack are two huge teams within Automattic, and also influencers on the broader WordPress project. Let’s start with WooCommerce. What challenges are you facing with WooCommerce? You once, I think around the time of the acquisition of Woo themes and WooCommerce, you compared it to WordPress 1.5. Do you have an update on what version of WordPress WooCommerce is at now and what challenges you’re facing in terms of making it what you want to be, want it to be? Matt Mullenweg: It’s probably like a 2.7 now. The idea with that was to evolve it faster than WordPress itself evolved. I think we definitely can. I mean, WooCommerce is very exciting right now because as you know, the marketplace is opening up. They just had their [Woo Comp 00:27:23]. There’s been some huge strides in terms of making the set up for WooCommerce easier, and then bringing in and integrating the services around things like shipping, payments, taxes, all that sort of jazz that we found is really significant barriers, people signing at WooCommerce. Brian Krogsgard: Some of those are powered through WordPress.com and actually require Jetpack to operate, right? Matt Mullenweg: Yeah. We’re putting in some SAAS services there. Brian Krogsgard: Is that a part of how you see the future of WooCommerce working in terms of how you all monetize it? Shopify, for example, is constantly talked about in terms of a leader in the e-commerce space. I had somebody speak at the conference that I put on about e-commerce and his take on it certainly was that for small and medium-sized stores, Shopify is doing a lot right. Are you learning from Shopify in terms of the direction of WooCommerce, or what do you think WooCommerce can do to stand out in a world where Shopify is doing really well? Matt Mullenweg: I think it’s good to think broadly. Shopify doesn’t just compete with Woo, it actually competes with WordPress. They are, I would say, probably our best competitor. I put them in like one of the top five, maybe top three. Brian Krogsgard: Of WordPress competitors? Matt Mullenweg: Yeah. For sure. They’re doing a great job. I have a tremendous amount of respect for them as a company as well. I feel like they’re doing it right as well, so I have a lot of respect. What Shopify shows is that there is a demand for this in the world. I do think they do a good job helping people get started and making that process smooth. A lot of those key features are because they’re essentially hosted SAAS surface, much in the same way that it’s much easier to provide a newsfeed or a distribution when you’re a essential social network versus a distributor one, right? For WooCommerce though, I think that it’s very interesting to see how the commercial side of it changes how the community interacts. You asked is our monetization there, SAASers, or plugins or things. The plan is really to help as many people sell as much stuff as possible. There’s five or six billion in GMV going through WooCommerce today. When we get that to 50 billion, everyone’s business providing WooCommerce stuff will do well. The host’ll do well. Automattic would do well. Plugin developers will do well. I worry more about growing that success metric of people who are getting started with selling things and then selling a bunch of it than I do necessarily like what particular monetization makes most sense along the way. Brian Krogsgard: Do you think there’s a future where a hosted WooCommerce is a thing that Automattic does and offers through Pressible or whatever else? 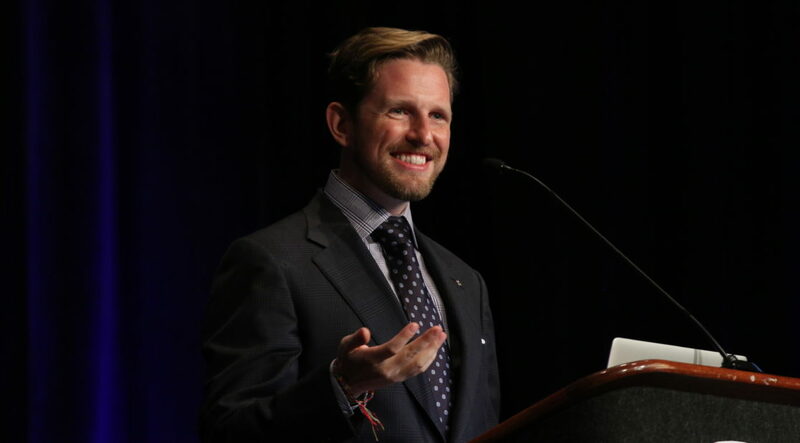 Matt Mullenweg: Well, you can do that through Pressible or WordPress.com business today. So, we are currently offering it. Brian Krogsgard: Is Pressible basically a WordPress.com business now? Matt Mullenweg: No. But it’s not incorrect to say that they have some similar ideas and inspirations and infrastructure. Brian Krogsgard: Mm-hmm (affirmative). I guess it gets a little confusing in terms of how to differentiate where WordPress.com ends and where WordPress.org begins sometimes in terms of how Automattic is approaching it. Matt Mullenweg: I think a good way to think of it is now on WordPress.com, you can have the path from that free never pay a penny user. There’s over a hundred million of those, all the way up to you can install custom code and plugins and themes, and that’s supported and scalable, in the same way the rest of WordPress.com is. That’s a pretty good change. There’s never been anything like that before. Brian Krogsgard: Historically, y’all have had essentially a pipeline where you had hosting partners that you worked with to help people get to .org once they were ready. Is that something that’s caused friction in the sense that now Pressible’s essentially right there, and like a quick step for WordPress.com user? Matt Mullenweg: Pressible is more of a test bed for us. For WordPress.com, business is definitely maybe a little bit more direct, although it’s pricing point is much higher than most web host. I mean, you can make that same argument for WordPress.com going back 12 years. We now have over a decade of our strategy, which is both make some really great solutions and partner with lots of other good people and make their solutions as good as possible. It’s a multi-billion-dollar market even today. So, there’s lots of room for everyone. Much like say Google with Android, we’ll make some phones but we’ll also make it so lots and lots of other people can make their version of it as well. I could understand someone being skeptical, but we’ve been doing it for more than a decade now so we plan to continue that for many years to come. And Jetpack, which I guess is the second part of your question is really the corner stone there. Brian Krogsgard: Is there still a lot of shared interest between hosts and partnerships through Jetpack? Have you all had success with your hosting partners who are using and installing Jetpack for their customers? It seems like there may be times where there might be some battles over who’s going to do what, and how they promote that because for example like Jetpack, you might be able to buy a theme or install a theme or something like that. That might be the line of business that the hosting partner was also utilizing. Matt Mullenweg: Yeah, that’s true, although most hosting partners, that’s a pretty small line of business, like it’s in single-digit millions where their entire business is probably in three-digit millions. So, I would say that the thing that we see in why there’s increasing demand for Jetpack with host is we have real data that shows that when a site, generally a new site, activates Jetpack, their churn is way, way, way, way lower. Brian Krogsgard: The host’s churn? Matt Mullenweg: Yeah, the host’s churn, sometimes over 40% lower. That translates very, very much into the bottom line. You talk to any of these subscription businesses, churn is the number one thing. So exactly what feature or functionality is in a Jetpack? That does that. I mean, I don’t know that yet, but I do know it has a very, very real impact, and that translates to, for some partners, tens of millions of dollars in revenue that they would be losing that they’re not because they’re getting folks running Jetpack. So, as long as that continues, I think that Jetpack has a very, very long and fruitful way ahead, road ahead, with every single web post in the world. And to our commitment to it, we have as many people working on Jetpack and WooCommerce as the rest of WordPress.com. So it shows if Automattic were only interested in WordPress.com business, all of this functionality and features would just be on WordPress.com, but we built it in a way that’s many ways core first. Just like Gutenberg is, to make it available to everyone. Brian Krogsgard: How’s the WordPress.com side of things gone in terms of helping people become aware that you can build a real website, if you will, like a business website, or a photography website. Basically, the market square space has gone after extremely hard with marketing dollars certainly. Has that been a challenge for y’all to present WordPress.com in that way? I mean, I know this year you started a advertising campaign really for the first time in a really significant way. Matt Mullenweg: Kind of ever. Yeah. Brian Krogsgard: Yeah. How’s that process, other than childish Gambino sponsorships? Matt Mullenweg: That’s going super well. I think it’s still a big challenge because people … I’ll talk about an example from a photography event we were at a few weeks ago. We were at a different event around the same time. I forget exactly what it was. We call it more like a mainstream person events like Knitters or Genealogy or something like that. The feedback was pretty universally positive. People were really excited to see WordPress was there and learn about it and hear about it. At this photography event, it was a lot of professional photographers, a lot of whom had tried WordPress at some point in the past 14 years, and many of whom weren’t on it anymore, that had a bad experience. This is one of those things where it helps me get out of my head, where WordPress is the sum of the entirety of everything that someone can find when they Google WordPress. It’s the commercial themed sites. It’s the spam. It’s the everything that they come across. When someone says WordPress, it’s what their friend said. It’s what their competitors use. It’s everything. And we’ve got some people there who said, “Hey.” And again, they don’t really distinguish … This was Automattic presence event, but they don’t even realize the difference between WordPress and Divi. They say, “Hey, I spent this money on this theme. I paid you money and I couldn’t get a refund, and the support wasn’t very good,” and things like that. It’s really our collective responsibility to make sure that wherever someone ends up in the WordPress community that they do get a good experience. Because every single actor in the WordPress community, whether that’s a web host, whether it’s a theme seller, whether it’s a plugin seller, whether it’s an agency, you know, you know of think of all component parts, that reflects on WordPress as a whole. Brian Krogsgard: Do you think there’s a place for shared efforts in regards to public education because it’s, in my opinion, a little unfair for, say, Automattic to do 95% of the direct spend WordPress marketing. Although it’s probably not 95%, with players like GoDaddy and Bluehost now doing a lot as well. But is there a place for promoting WordPress generally, where it’s a shared burden, if you will, from interested parties? Matt Mullenweg: I think so very much. I also believe that we need to really evolve WordPress.org in this regard, because that is our shared space. It is our repository for all this stuff. I do think that in 2018, we’ll need to make it just a much better website from the point of view of bringing in folks, educating and helping people, wherever they might be in their WordPress journey. Brian Krogsgard: But right now, WordPress.org is technically your website and playground. I know there’s a big team of people that manage it, but in terms of the way say other corporations or whatever, interested parties may view it would be that it’s essentially yours. How would you tell them, “Hey, come in here. Let’s promote WordPress together. Let’s do it collaboratively.” Or is it a collaborative effort? Is it a top-down thing? How do you envision that? Brian Krogsgard: I’m not saying I think you do everything. I’m saying I think it’s your website. Matt Mullenweg: Sure. There’s already, I would say, 50 to 100 people that work on WordPress.org pretty regularly, like on a weekly basis. What I would love to get is more of the organizations to think about … I think that people perceive that they can’t change anything there, so I really want to open that up. Sometimes the volunteers for WordPress.org tell them that they can’t change things. So, we need to get past that. So, I really want to make WordPress.org a product that people can contribute to, just like they might contribute to Core WordPress. Yes, there’s still going to be a editorial vision. There’ll still be something that some people want to do and we say no to, and there’s still be kind of a … We want it to be cohesive but I want it to be, in perception and reality, much more open than it is today. Brian Krogsgard: Currently on the .org … like the website .org side of things and also the Core software, sometimes data is something that a lot of people just don’t have, maybe if you’re a host and you’re monitoring how your customers are using it or if you’re a plugin and someone has opted in to allowing you to track what they do. But in a lot of ways on the WordPress.org website, you are the only person really that … with access to data that could maybe inform decisions. Then in the software itself, there’s been the telemetry outcry that you’ve mostly resisted I feel like it’s safe to say. I’d like to address these separately. Maybe let’s start with telemetry because that one’s pretty interesting. Why is it that you don’t want to see that, I guess? Matt Mullenweg: I don’t think I’ve ever said that I don’t want to see it. No, it’s true. So, data is not a panacea, right? It’s not a cure all that will solve all of our problems. In fact, it is kind of a Pandora’s box sometimes where you open it up and it creates more questions, or worst of all, you have a false confidence from data or your interpretation of data that in fact leaves you down an incorrect path. So, data is one of a suite of things, a whole toolbox of things that you can use to apply to what we try to do, which is extremely difficult, and as much art as science, which is make things that people want, build it and deliver it to them. In terms of telemetry in WordPress, I’m a little bit more on like call it the European side of data privacy and wanting to not gather something that we’re not going to need to use to make a decision. Brian Krogsgard: For what it’s worth, on that side of things, I’ve 100% agree. I actually think that if data … I don’t know if you agree with this part, if data’s going to be used and shared, I think it’s a great place for hosts to be a big contributor. Brian Krogsgard: Is that something that you agree with or you just would rather that data not really mess with the conversation? Matt Mullenweg: Well, I think the nice thing about any host, including Automattic helping there, is that we can use it to answer a question, versus just constantly … certainly at WordPress.org level, collecting just everything. So, I’m a believer in collect as little as possible to minimize your exposure to having too much data, because data is … I think someone called it like the nuclear waste of our day, right? Like, once you have it, like storing it, protecting it, making sure it ages gracefully, all of those things become … There’s a lot of cost to it. I now have experience of storing and maintaining and being responsible for many petabytes of data. That’s a nontrivial thing to take on. Matt Mullenweg: The Jetpack one, yeah, definitely. Brian Krogsgard: … the JetPack one, there’s onboarding processes that are at least partially informed by data. I guess part of my question is do you think there’s room for that data to become more public so that WordPress Core could maybe have a better onboarding process? This was a new user experience thing that kind of kicked off the ground once, and pretty much fell down. I don’t know. Personally, I’m a little concerned about it not being addressed from the core side of things, if that makes sense. Matt Mullenweg: There is never a decision made in Core that’s not data informed in some way. The problem is that when people disagree with decisions, they say … they try to make it purely like data was the only decider, or that if they had data, they could overrule a decision or something like that. That’s just not how data works. Like I said, it should never be the sole driver of a decision. We’re really talking about product design. This is such a media enlarged topic that it’s almost tough to know exactly where to start. Matt Mullenweg: In terms of other things that have been attempted in the past for Core WordPress, I wouldn’t attribute that failure to lack of data. I would attribute it to poor product of project management, more often than not. If you said we need to know … let’s just say there’s something in WordPress and we need to know whether you preferred … your favorite color was blue or red. We need to make a decision based on whether people choose blue or red. This is a silly example, but you can map this to almost anything that people talk about with telemetry, that if we knew what people were doing or wanted, that we could make a better default decision or we would change the product in some way. Once you get the question really concrete, I think that you begin to see that built-in telemetry to WordPress is one of 100 ways to get that answer, and get that feedback, and actually a really, really … one with a lot of downsides and that would require a ton of work, somewhere between 6 and 12 months of work to answer this question that you might be able to answer in just a couple days a different way, including doing user testing, surveys, looking at web posts, looking at plugins. There’s just a lot of different ways to answer these questions. That’s why I like to bring it back to the question that we want to answer, and specifically what we want to do as a result of that. So, then it becomes more about results, not necessarily a preconceived process or input. Yeah, some people say, “I’ve built amazing things before and we need this data.” It’s like, “Okay. Well, we have lots of people involved that built amazing things before.” Let’s look at what we’re trying to solve and then map out the best way from A to B, because there’s not one-size-fits-all for every problem. Just because you’ve had success doing it, getting from A to B one way, doesn’t mean that’s the path that we can or should take today. Matt Mullenweg: Can I say one more thing on WordPress.org and all of that? Matt Mullenweg: There is data there. There’s I think 20 … looking at 25, 26 people with access to the Google Analytics for WordPress.org. Again, if someone came to me and said, “Hey, I want to know … To solve XYZ, I need to know ABC, that’s data that’s on WordPress.org,” happy to open that up. I, especially with Core WordPress, tend to be very privacy conscious and really want to protect, I think what is the right assumption that people have with WordPress, that we are a project that cares about and tries to protect user privacy and gathers as little as we need to make the decisions that we find really important, and we’ll continue to do so in the future. Brian Krogsgard: I didn’t know that about the .org side of things. I think I’ve asked you about traffic before, and you said a lot, and then I’ve also … I’ve inquired before I think back when it was the theme marketplace, like how many people were clicking the banner for creative market and some of the other market places that were on there, and there was a little resistance there. So, if that’s data is more open now then I know for certain myself and other people would be interested. So maybe we’ll have to make a specific list of questions that we have curiosities about, or maybe that … questions about how that data could be used in a informative way for the community and not just for nosy trade magazine runners. Matt Mullenweg: You’re interesting because you span a few different things. You’re a contributor and you’re a journalist, and you’re a publisher. So, a question that you asked from a … with your contributor hat on might be answered differently than the question you ask with your publisher or a journalist hat on. If for either, talking about what your goal is is a good one. So, if you want to write a article that says, “This is changing things,” like put that in the request. I think it’ll be more likely to be answered in a way that you … or open up in a way that you like. Brian Krogsgard: I’m glad to hear that. Last WordCamp US, there was a effort announced. I’m curious what kind of follow through has been done. I’m just not aware of it, about the … with the marketing board or something along those lines, like a working group. Is that something that’s evolved or am I missing out on that? Brian Krogsgard: Okay. Then, I’ll finish with this, which is if there was … well, there’s two. I want to follow-up with something fun after this. Matt Mullenweg: Are we out of time already? Oh my goodness. Brian Krogsgard: We’re getting close, yeah. Matt Mullenweg: This really flew along. Brian Krogsgard: You just love talking to me. Matt Mullenweg: You know what, Brian, I really do love talking to you. I really enjoy when we were on stage at a WordCamp [inaudible 00:50:03] few years ago, like being on the podcast. Happy to do this again at some point. Brian Krogsgard: Well, likewise. I appreciate you doing it. If you could push a button and make something happen in the community, which I think we both know is a lot harder than pushing a button, what would that be? Like if you could just have something be so … as you once told [Auto 00:50:24] during a talk. If you could just make it so, what would it be today that you’re looking at and that you would like to see changed from a community perspective? Matt Mullenweg: If there were a button that could help people open their minds, that would be the button I’d push. Brian Krogsgard: Could you expound on that a little bit? Brian Krogsgard: Another throwback to something neither of us saw coming, from a joke I think you made about when we were at WordCamp Europe. A lot of things have happened since then. Brian Krogsgard: To put it lightly. Matt Mullenweg: Understatement of the year. I’m a big fan of the idea of strong opinions loosely held. I think this came up in comments the other day where someone was like … probably on the other big of WordPress site tavern, but I talked about … Oh, sorry. Are we not allowed to talk … You can edit that. Take it out of the post. Brian Krogsgard: That’s okay. That’s okay. Brian Krogsgard: That’s interesting data. Brian Krogsgard: Everybody hates flip-floppers. Matt Mullenweg: Or this si scope creep, or whatever. It’s like, no. It just like, I felt strongly about something before, been working on it, learning, reading, et cetera. The world has changed. Now, I feel like something else is better. That’s being open-minded. We can never be so attached to what we believed in the past. In fact, I would say based on the track record of me as an adult let’s say the last, I guess, 15 years since I’ve been 18, I would say I disagree with them on a vast majority of what I used to believe. As I’ve grown, and like … I don’t know if I’ve become wiser, but definitely learned different perspective in other things. Brian Krogsgard: Everything but the GPL, right? Matt Mullenweg: … “All right. What if this is right?” I’m open to that. All I ask is for everyone to approach things the same way. Brian Krogsgard: I think that’s fair. I can agree. Maybe this is just a thing about getting out of your teens and 20s and into your 30s, or I don’t know, but nuance is a good word in terms of evolving our own tightly-held beliefs. Let’s finish with … I want to hear … You travel the world. You see a lot of people, WordPress users and otherwise. What’s something that’s inspired you recently, WordPress or maybe it’s just the story that you’ve heard? Matt Mullenweg: I’ll say it a little bit in abstract because I don’t know if this is a story that you say publicly. But I met a woman who spoke to me about … She’s now the CEO of a successful startup with tens of millions of dollars in funding, doing very, very well, and having a big impact as well. Funding’s not the best metric also. Lots of people are using this product. She told me this story about how … Her background was not necessarily development or engineering, but somehow she got a WordPress site. She started to basically learn how to code through doing that WordPress, like changing the HTML, modifying the theme, just doing the kind of stuff … It’s actually probably many, many stories within the WordPress community, but then hit like a really interesting roadblock, which is her family went through some super tough times, so much so that they lost their jobs. Her family actually moved into her student housing with her. So, imagine a family living together in like something designed for one student. Matt Mullenweg: She was able to use her … She [parlite 00:56:41] her WordPress skills into people paying her to develop WordPress powered websites. First, a couple hundred dollars, and then it’d be a couple grand. That was what helped get her … it allowed her to, one, stay in college, which was very important, because she obviously lost her financial support from her family at the same time, help her family get back on their feet, and was kind of a pivotal point for what she later created. That could have just as easily hike on the other direction. Brian Krogsgard: That’s really awesome. I actually think if you pulled successful entrepreneurs, especially in the web space, I bet a lot of them have touched WordPress and been impacted in some way about WordPress over the years. That’s really a cool story to hear. Matt Mullenweg: … there’s some WordPress at the very beginning, and those have been talked about publicly. It is very cool. That’s why I put HeroPress into the default feed, newsfeed for the dashboard is I love what HeroPress does and the stories they bring together. It provides me a lot of inspiration. That’s something that it’s good to keep in mind. Even though we might have some very, very strong disagreements as we develop this thing called WordPress, that end of the day, like I think we all agree that when it impacts people’s lives positively like that, it’s really, really special. And to be able to … like any contributor to WordPress can, tell your friends or your family or your future godchildren or grandchildren like, “I was part of that. I answered 1,000 things on the forums that allowed people to … or I held that documentation, or I have code that runs on …” Actually, as of just yesterday, I don’t know if you know this, but we’re now 29% of the web. Brian Krogsgard: Got to love the new 1% that we get to tack on every now and then. Matt Mullenweg: Yeah. The past year, we’ve grown another two point something percent, another Drupal. Matt Mullenweg: If we look back over this past year, it’s been very different. There’s been a lot of, I would say, when I set the value at myself, I [inaudible 00:58:56] done a much, much better job and still want to do a better job around bringing everyone together around these things we’re doing differently. But by a lot of the external metrics, it’s been a really, really good year for WordPress, and these 4.8, 4.9 have had great adoption. They’ve had great downloads. The usage of WordPress is way up. We’re getting just better outcomes for users, customers, everyone all around the world. So, we’re on a good path. In fact, it’s actually starting to accelerate a bit, which is really, really important because for a while, we were still growing, but not as fast as we had in the past. So a reverse in that trend, which it looks like we’re going to do this year, is huge. That’s basically pulling the plane out of the nosedive. Brian Krogsgard: That’s cool. I actually just had a friend of mine ask me about being able to essentially draft the changes that she was making. She’s a teacher. She’s building a WordPress website for their school with her students. She was asking me about being able to draft those changes that they make before they go live. I was like, “Well, lucky you, WordPress 4.9 is around the corner.” I’ll be able to talk to her this week when I see her, and let her know that all she has to do is update WordPress and she’s got that feature. Brian Krogsgard: Yeah. I agree. You’ve been doing this a long time. I feel like I’ve been doing it a long time now. Sometimes, it’s definitely worth taking a step back and just looking at it, the ecosystem more broadly. I just had my local WordCamp a couple of weeks ago that I attended. For the first time in a while, unfortunately I hate to say that, spent some time in the like user … what do they call that? Brian Krogsgard: No. Not even the User Track, like you go help someone with some issues. Matt Mullenweg: Oh, yeah. Like the Happiness Bar, or [Jamie’s 01:01:35] Bar. Brian Krogsgard: Yeah, the Happiness Bar. I spent some time at the Happiness bar, and it was extremely fulfilling being able to answer questions for people that are simple, if you will, like to us, but for them, it helps their business be found on the web and be … it can just have a direct impact on what they do and how they do it. So, I was really rewarded by that. And I’ll let you know, I was a little skeptical when this happened in Core, but I talked to several people that showed up to WordCamp because they saw that the WordCamp Birmingham was happening in their WordPress dashboard. So [crosstalk 01:02:08]. Matt Mullenweg: Cool. I’ve got some more things in mind for that. So, I do think that we can definitely leverage the software to bring the community together. But, yeah, volunteering at those Happiness Bars is huge. It’s how I got my start. This is how this whole thing got started, was on the [B-2 01:02:24] forums. I was going to ask another question because I couldn’t figure things out with B-2, and I saw someone posted the question that I already figured out. So even though I was very, very new to everything at that point, I was like, “I already knew this.” So, I just posted that answer, and that was the beginning of the addiction to contributing to open source that I still have to this day. Brian Krogsgard: Nice. Well, Matt, it was really good talking to you. I look forward to seeing you in Nashville. I’m assuming you’re planning on eating some barbecue, right? Matt Mullenweg: I’m looking forward to the hot chicken. Brian Krogsgard: Yeah. I was about to say the hot chicken’s where it’s at. There’s a couple places that I’ve been there that’s got some great hot chicken. So, I’ll see you in just a couple of weeks. I appreciate you spending time with me today. Matt Mullenweg: Sounds good. Thank you as well. Fantastic interview Brian. Kudos on *politely* pressing Matt on data sharing, competing directly with web hosts, Gutenberg, and more. And respect to Matt for many comments here, especially his acknowledging some of the bitterness that keeps many in the WordPress community from getting more involved at WP.org, and his desire for all players to be able to profit from AND contribute to WordPress. “Strong opinions loosely held” is a good sentiment indeed. Thanks for this. Helped me understand all interview. Excellent interview. Appreciate hearing the perspective from Matt Mullenweg. There’s nothing like going to the source of the information for the right “data.” I also like the forward thinking direction of WordPress and how it is necessary to have an open mind and everyone has a seat at the WordPress table, including the user.